Tubby beige ottoman leads the fun with extra seating. Fully upholstered with a felt like poly-blend fabric in either orange, grey or beige. 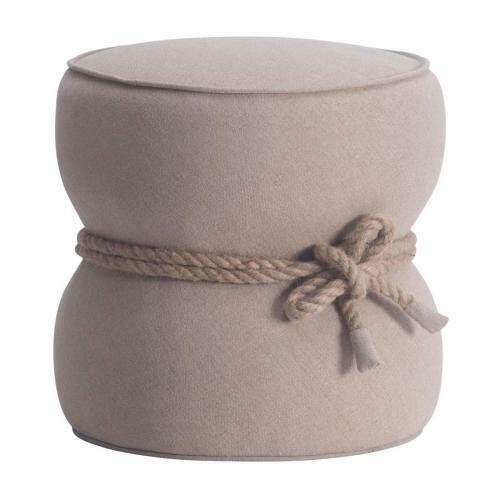 Each ottoman is accented by chic nautical style rope trim that cinches the middle creating a hourglass shape. Add in nursery or children's rooms, or as extra seating to living room and guest rooms. Whether grouped together or just a single splash of color, you and your friends will love the look and feel of this new design. Size is W18.9 x D18.9 x H18.5.